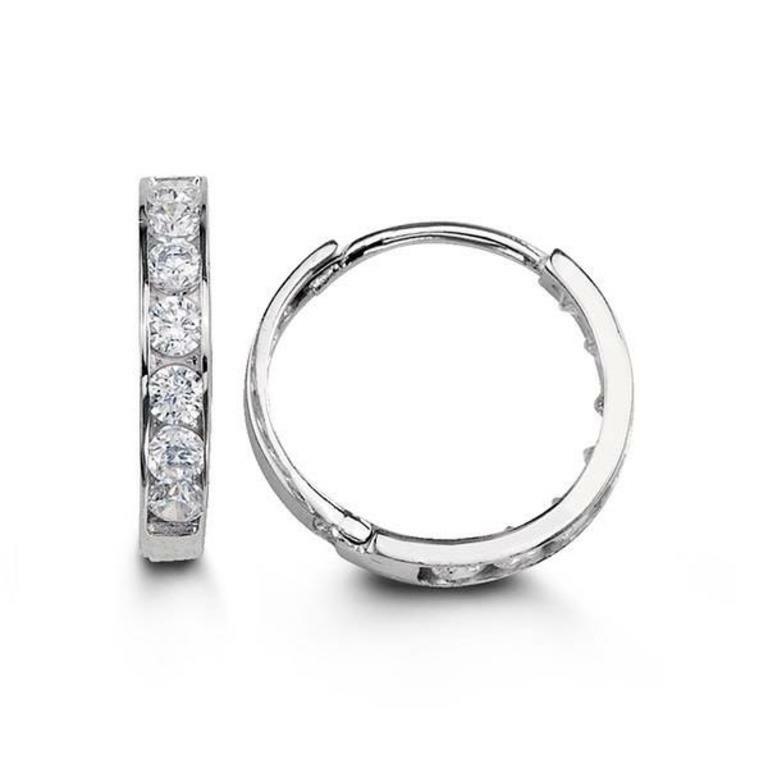 Children's cubic zirconia channel set huggies crafted in 14k white gold. They are set with clear, cubic zirconia's that are channel set down the front. The earrings are full hoops that secure with hinges, huggie style.